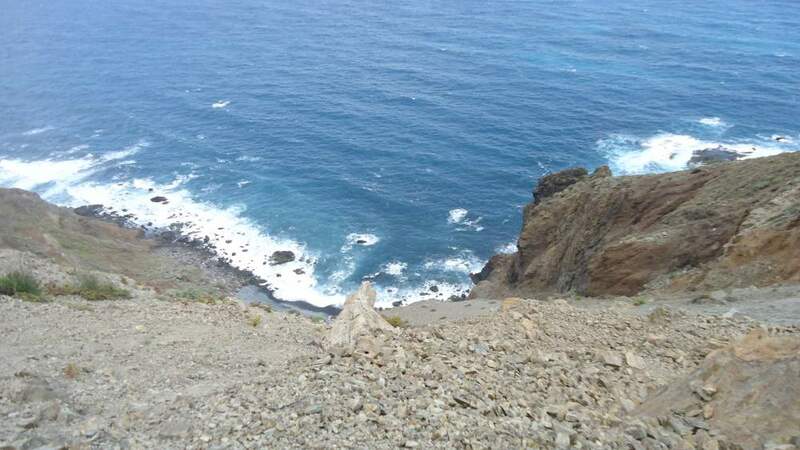 Benijo to Roques de Anaga is a two-hours and 4.9 kilometers tour (in one direction), from the Benijo village on the north-east side of Tenerife island coast, to the northernmost point of the island, from where you will have two Roques de Anaga in front of you. 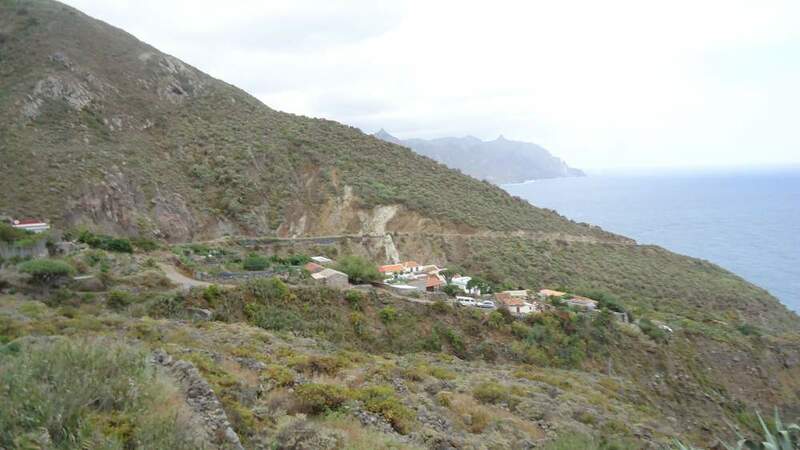 The asphalt road ends in Benijo, but the road from there in the direction of Roques is still rather good, and you may continue for another 2 kilometers by car until you reach El Draguillo village which is high above the sea. This may considerably shorten the time needed to get to Roques de Anaga. Regardless of the starting point, by walking the route you will be gaining the altitude up to the point of 338 meters above the sea (quite literally in this particular case). From this point, you will have Roques de Anaga all the time in sight and you will be descending toward them and toward the sea. This altitude change you may see from the Wikiloc map prepared for you by Angel de Vicente. 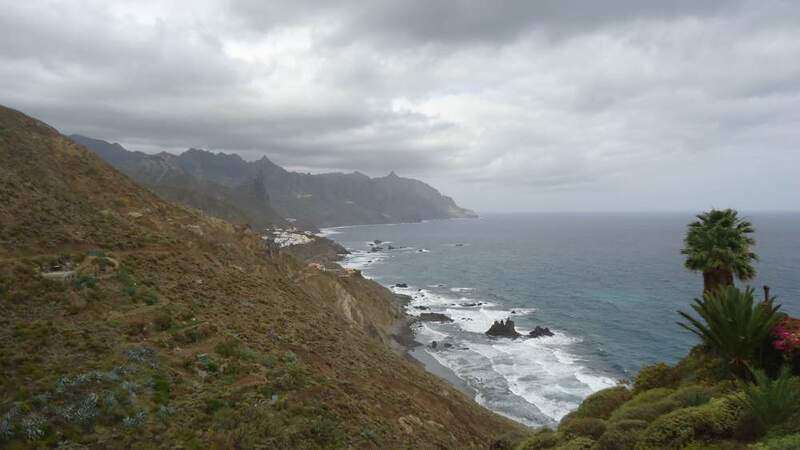 Roques de Anaga are a part of Anaga Country Park which contains the bigger part of the north-east side of Tenerife. The Roques are in fact two massive rocky structures separated from the island. You may enjoy their beauty from the photos given here. 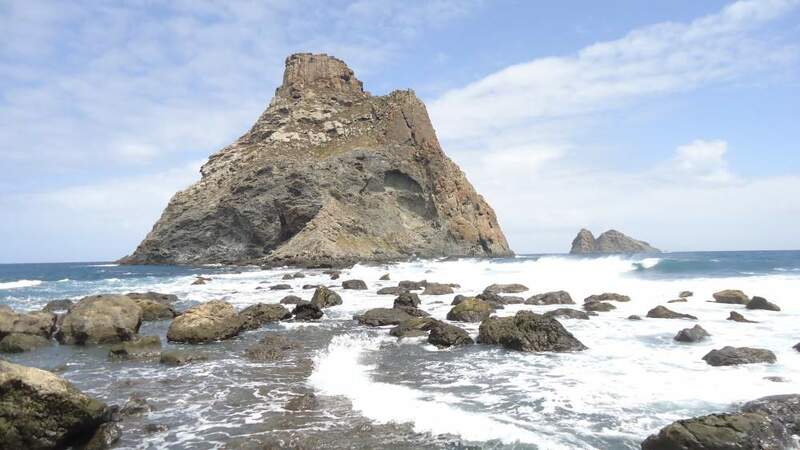 The rock closer to the island, Roque de Dentro or Roque de Tierra, is much higher than the other (Roque de Fuera), according to Google Earth its height is 179 meters, and its base is slightly larger. Both rocks represent a bird sanctuary and the area is protected. At very low tide it may be possible to walk the passage from the island to the first rock. When we were there the waves were strong and such a passage was not possible. Information about tide you may find here and in the graph below you may see how it was on the day when we were there. Low tide at Roques de Anaga on the day of our tour, thanks to Angel. 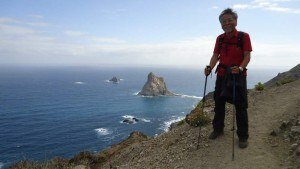 I walked the route from Benijo together with my friends Mitsuo Kono from Japan and Angel de Vicente from Tenerife. Some data about the walk you have already seen on the map provided by Angel. It was a perfect day, May 24, not warm at all, beautiful views all the way to the Roques and back. 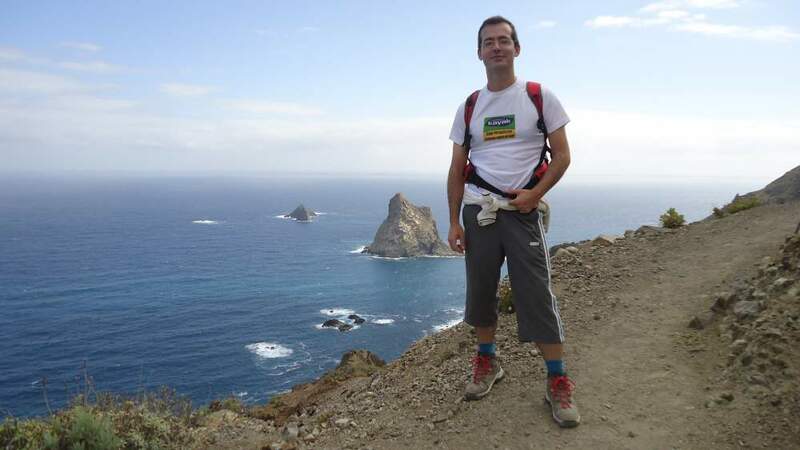 From the starting point in Benijo it was already possible to see the Roques and they looked close. The route is not complicated, the direction of motion is obvious and the Roques are in sight most of the time. At several places, you will be descending and then ascending again. 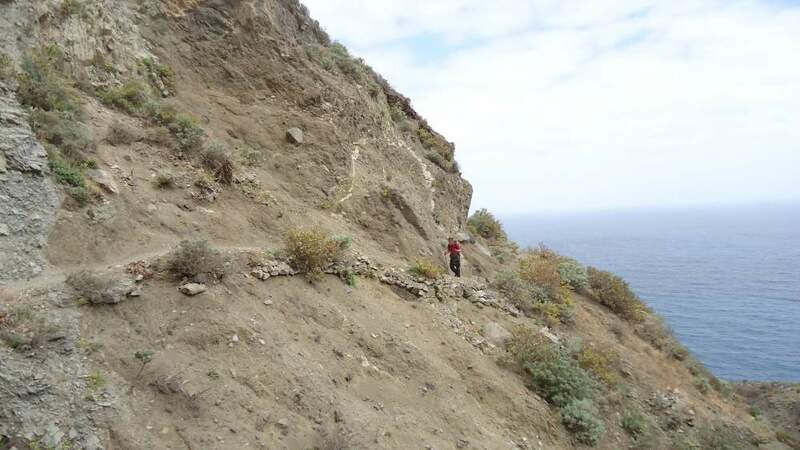 There are a few slightly exposed passages, and the terrain above the path is rather unstable at many places. In the case of a strong rain, there may be a lot of falling stones around. We arrived at the Roques at low tide, but the passage to the Roques was under water, and big waves made it impossible to cross (this would be a bad idea in any case because the area is protected, as pointed out earlier). Admiring the Roques from such a close distance was already a great reward. 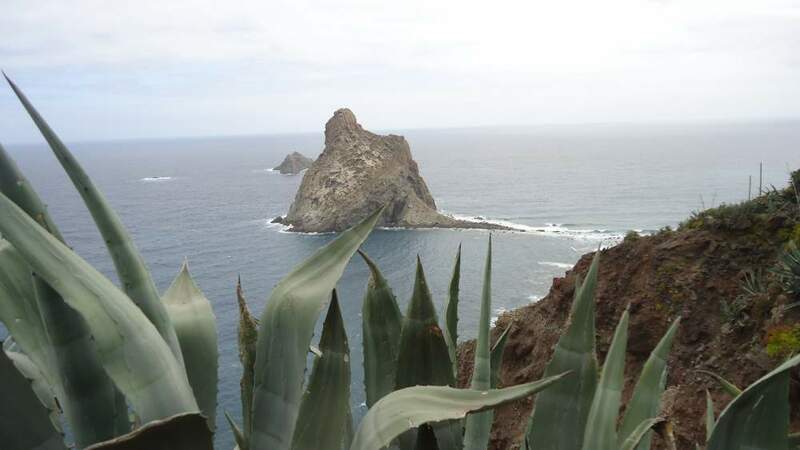 Once you are in front of the Roques, the Anaga faro (lighthouse) is visible in the east direction and far above you. See below a collection of photos from our tour. Signs at the beginning of the route in Benijo. Angel and Mitsuo, somewhere in the first half of the route. The route goes high above the sea all the time. View back toward Benijo. The north coast of Tenerife. Photo shooting session at the highest point of the route – Angel. …and then me of course, I would not miss the opportunity. A typical section of the route. The Roques in the distance, seen from the route. Mitsuo, somewhere on the second half of the route. El Dragillo village on the route. The Roques de Anaga as seen from the route. In front of the Roques de Anaga. 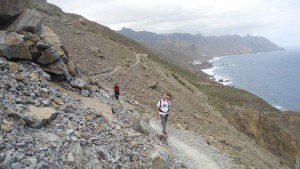 After about 50 minutes spent enjoying the views and resting in front of the Roques, we set off towards Benijo. This implied climbing 338 meters from the sea level, not so easy after all the walk before that. But it was a great day in every sense. 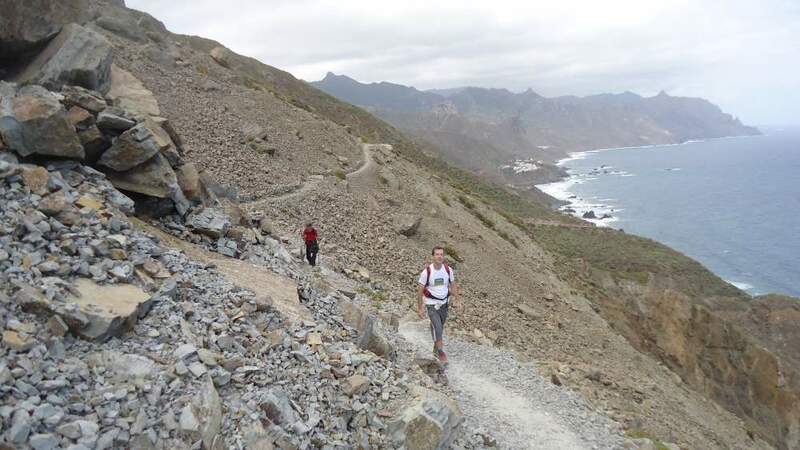 So to summarize, the tour from Benijo to Roques de Anaga will take you at least 4 hours and you will walk in total about 10 km, in both directions. The views are spectacular all the time and you will not regret it. Take walking poles if you have. Please leave your comments below, it will be great to read them. If you like this text please share it with others. first of all, I would like to thank you for all the useful information you are giving on this site ! The descriptions, the music, the photos , the videos … all are perfect ! 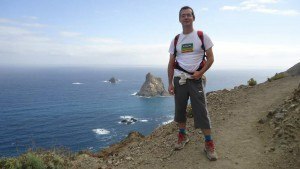 I intend to visit Teneriffe in November 2017 and Anaga (more particularly the path to Roques de Anaga that you are describing in this article) is on my planning. Do I need authorization for this path ? How to get it ? I saw the form you posted in the article “Anaga Mountains Tenerife – a place to walk through clouds”. But how to send it ? Can I get authorization once I am there ? Thank you again for this site and sharing your experience. Thank you for the kind words. For this route you do not need any permission. The same is for the whole are on the north side of Anaga. You will be there in the best period when the island is very green. Though this part5icular route is along the north coast so quite rocky. But regarding the permissions, you can contact them by phone, or get it directly there at Cruz del Carmen office which is inside the forest. You get there from La Laguna, a nice road through the forest. Great articles you are putting together. I am wondering if we can walk from Benijo to Chamorga as I could see on the guide sign at one of your pictures. I was thinking to take a bus 946 from Santa Cruz to Benijo, spend bit time there and then hike to Chamorga and then take a bus 947 from there back to Santa Cruz. 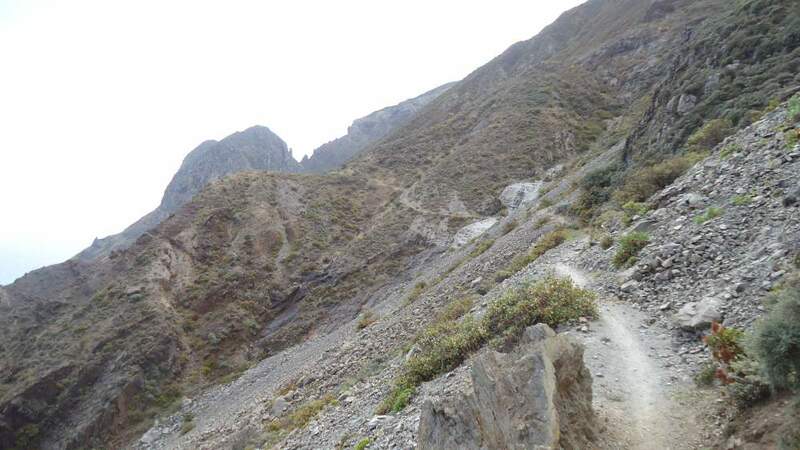 I wonder if this route goes along Roques de Anaga. And I also wonder if we need the permission for such a trip. I would like to avoid the Roques de Anaga, because it would be difficult to obtain the permission for us (time perspective). Hi Kristina, great to hear from you. There are several options for your walk to Chamorga, all attractive. Unfortunately, I did not describe them all in the site, your comment here is a reminder to do so. I walked them all of course. 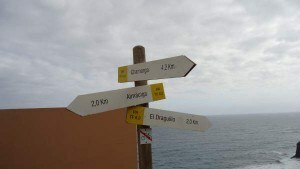 a) Follow the same route described here towards Roques, and then continue towards the Faro de Anaga by following the route along (and above) the sea, and from there go up to Chamorga. This is a long tour. I shall add a text about it here soon. b) From Benijo follow the route directly towards Chamorga. This is far less demanding, you gain altitude all the time before reaching the Anaga mountain ridge and a pass at some 700 meters above the sea. Most of the time the route goes diagonally up, great views all the time. From the pass, you can descend directly to Chamorga (20 minutes), or continue along the ridge in the direction of Faro (without descending to it). Then you return back to Chamorga following the route described in my another text. This detour towards the Faro is along the ridge and it is only 1 hour extra or so. 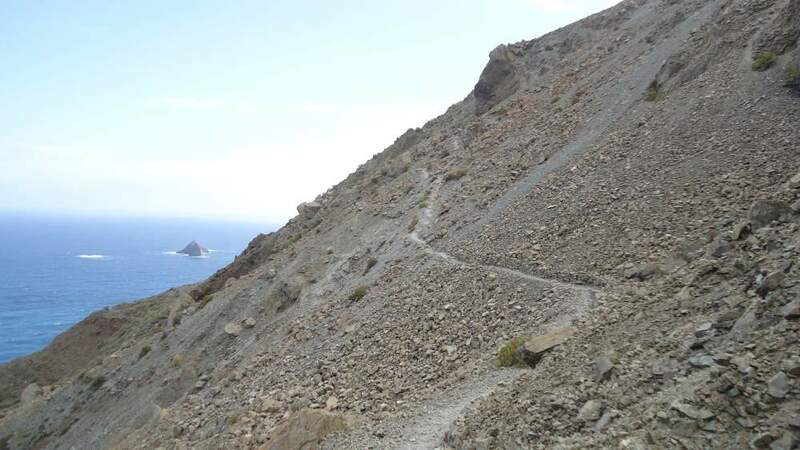 c) There is yet another option, to continue towards Roques and then when you come to El Draguillo, continue directly up towards the mentioned pass and then again choose any of the two options, directly descend to Chamorga or make a longer walk as described in the b) above. d) One option, which I do not recommend because i) you can get lost, and ii) you need permission (which might be denied), is to go from Benijo directly up through Pijaral rain forest, and then follow the long ridge walk through the rain forest, all the way to the pass described in b) above. Note, this is a highly restricted and protected area (will all good reasons), extraordinary in every sense. I passed it 3 times in various routes. See some pictures here and you will realize what I am talking about. But I stress again, you can get lost easily, this is not touristic route and the path up through Pijaral is not visible at all at some sections. One more thing, if you wish do write a text here as a guest editor I shall be happy to add it with your photo. I only publish texts that are first-hand experience, reliable, and original. The site is aimed at helping people with most essential information. Hello, I am a novice when in comes to hiking up mountain ranges, but the views here are quite breathtaking. I am not familiar geographically where this is but is it somewhere off the grid? Could an average hiker like myself benefit from the experience in this location. Very interesting read but it would be great if I can get your point of view on this. Hi, thank you for visiting my site. This is Tenerife island, one of Canary Islands, Spain territory. Some claim that up to 9 million people visit the island yearly so this should answer your question. There are many hiking routes throughout the island, for any sort of hikers. 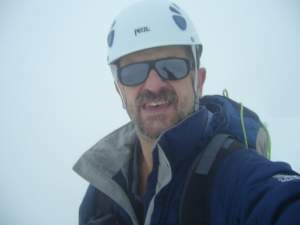 And there are climbing routes, you can read within this site about Teide, Pico Viejo, Guajara. I have enjoyed the photos, videos and your written word. I have enjoyed hiking the mountains of Costa Rica, and have been blessed to travel through Rain Forest to Cloud Forest. Once again I enjoyed the musical rendition of the great composer Bach. Thank you Edmund, great to see you here. It is a beautiful place. Thank you too for the pictures, it is both in splendid quality but in same time show the hiking tour very well. I was thinking when I was reading this article, great information, by the way, how difficult the hiking is if family walk together. I we said that one shoe are very easy, and four shoes are very difficult, how many shoes would you say this hiking was for a family? Hi Johann, while I am certainly grateful for your visiting my site and for the comment, I am perplexed with your question. I simply do not understand it. Hello Jovo. I see that you have an other fascinating trip. 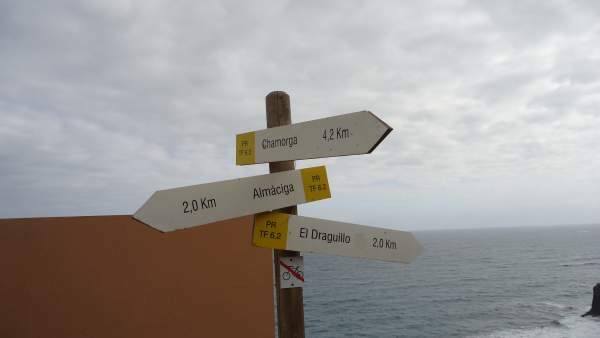 Did you mentioned that the Rogues de Anaga are two islands? Looks that I see here just one of them. Overall, it is an interesting name, maybe it is a Spanish word. I heard that these two islands are verified as protection places for birds. Did you see any of them? It seems what where you walk, no life around except you three travelers. Did you reach a peak of the Rogue de Tierra, which is home to Canary Island dragon trees? There are junipers too. Your pictures are always engaging and telling story behind them. Thanks for virtual journey through the Nature Reserve. All the best, happy writing and traveling, Nemira. Hi Nemira, great to read your comment. Yes there are two Roques, you can see them in the featured headline photo and also in the first photo in the text. The other is smaller. There were no many birds indeed when we came there, it looked pretty lifeless though as you rightly noticed. 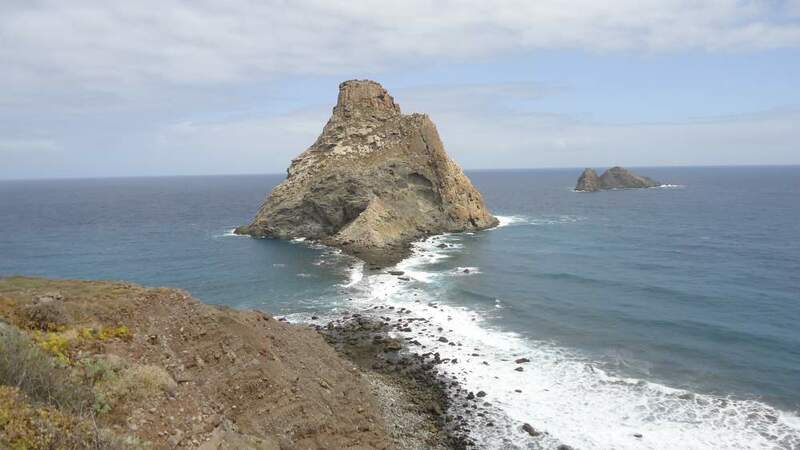 Roque de Dentro or Roque de Tierra is the first of the Roques, closer to the main island, which you see in the picture. We did not cross to the Roque, in fact this is forbidden. Dragon trees grow around, I have seen many in Chamorga area. But I think there are no trees on the Roque de Tierra, you may see it on the photo. Hello again. 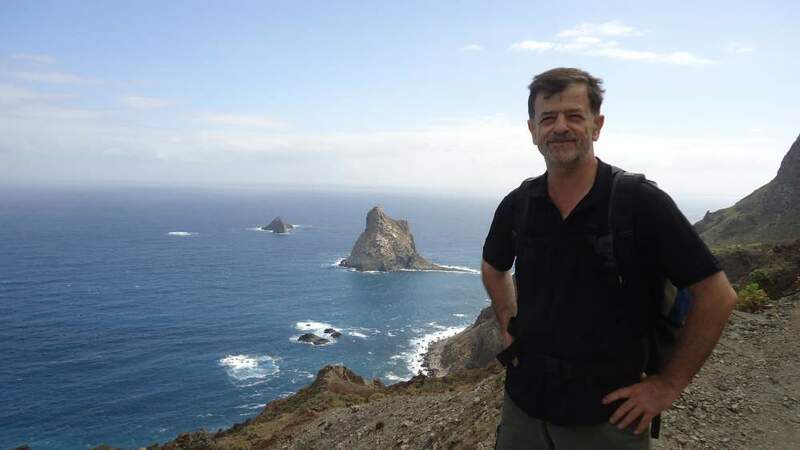 It is strange that you did not see any birds, because there are some of species such as Bulwer’s petrel, the Madeiran storm petrel and Cory’s shearwater. Maybe it was their nesting time. Overall they are seabirds and could be shy. These names are strange, but I guess they were given regarding place from where they came from. I wonder if everybody can get this permission for walk in this Nature Reserve? I saw your page about it, but I did not dig deeper. Anyway, I do not have plans to visit these Canary Islands, maybe in future. For now, it is plenty for me information from your website. If I could choose, I would go to the Anaga Mountains. There a lot more greenery, some ravines, villages and forests. I like your pictures from this place, especially this one as tunnel from trees. It reminds me scene from ” The Lord of the Rings”, where dark rider showed up at the beginning of Frod journey. Thanks for great articles, happy and safe traveling, Nemira. Thank you Nemira, you show a deep knowledge about the area. I do not know if everybody can get those permissions, I would expect that they only limit the number of people that can go there at any time. There are the same limits for climbing Teide. You are right about Anaga Mountains, I had the same feeling when I was there in numerous occasions. Thank you for provided information, all the best, Nemira. I should thank you Nemira. All the best to you. Such a beautiful looking place. I love your use of images! I haven’t had the opportunity to climb a mountain before but that is one thing I feel I have to do at some point in my life. I’ve been up a mountain in a car before and the view was stunning but it wasn’t quite the same as doing it by foot. Some day in the future hopefully. Nice site, found this very interesting and the photos are real nice. Hi Hannah, many thanks for kind words, this means a lot to me. No it is not the same as driving up the mountain and walk your way up. Great article about Tenerife and Benijo tour. I have also been lucky enough to experience many places and many different cultures, I love traveling and now I can’t stop. I love Victoria falls in Zambia, would you be interested in writing an article about that? Jack, I have not been in Zambia. I only write about first-hand experience, about places I visited myself. Sorry.